As a medical student, surgical intern, and anesthesiology resident, I ate, slept, and breathed medicine, and every one of those rites of passage came topped with the cherry of long-awaited and hard-fought-for success, the kind where you're supposed to say to yourself afterwards, "Looks like I've made it." When I graduated from medical school, I must've written "Kristyna Mazur Landt, MD" a zillion times, practicing my signature which now resembles the Loch Ness Monster. 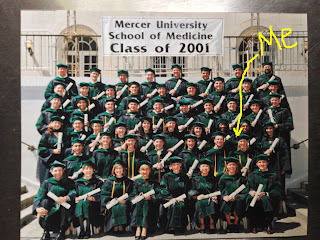 I was the first person from Mercer University School of Medicine to be accepted into Emory's general surgery program, and it was kind of a big deal. You don't get to pick where you go for residency; you're matched through a national lottery. Emory had been my first choice for surgery residency. Vanderbilt was second. No one, not even your academic advisors or the programs themselves, has any idea where you'll end up. That's what makes Match Day so exciting or disappointing, depending upon how you were ranked by each program. On the morning of Match Day, you sit with your classmates in an auditorium, waiting for your name to be announced. When your name is called, you walk up to the podium where you receive a sealed envelope. At least, that's how it happened at Mercer. Anyway, I could hardly believe it when I opened mine and saw "Emory." To congratulate me on that accomplishment, the chairman of Mercer's Department of Surgery gave me his first edition copy of "The Papers of Alfred Blalock." I was on Cloud Nine. Well, that is until July 1st actually rolled around. Internship was a rude awakening into the organized slave labor trade known as residency. My intern year occurred a year or two before the legislation mandating an 80-hour limit on resident work hours was passed; there were plenty of weeks where I worked 100-120 hours. Think about that for a moment. There are 168 hours in a week, and if you're working 100 of them, you're left with approximately 9.7 hours per day for your remaining activities of daily living, at least six to eight of which ideally should include sleep. Based on those working conditions, my house physician salary of $32,000 averaged out to about a dollar above minimum wage. Economically speaking, my college degree and four years of medical school didn't amount to jack squat. 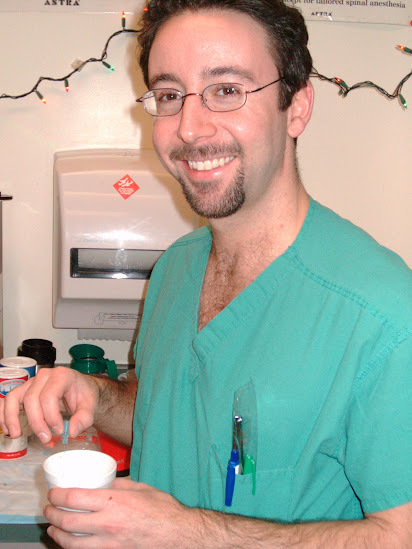 I switched from surgery to anesthesiology after my intern year, and it was a very wise decision. There's a mindset among surgeons that there's operating, and then there's everything else. At the young old age of 39-about-to-turn-40, I knew I couldn't commit to that lifestyle. I missed my kids terribly. I missed being at home. I didn't want to miss out on any more of our lives together. Faye, a friend of mine who'd gone through three years of surgery residency before switching to anesthesia, convinced me to consider changing paths. At that point, I was less than six months into my year of internship. My very special set of skills? Test-taking! Test-wise, I could have easily had surgery in the bag. 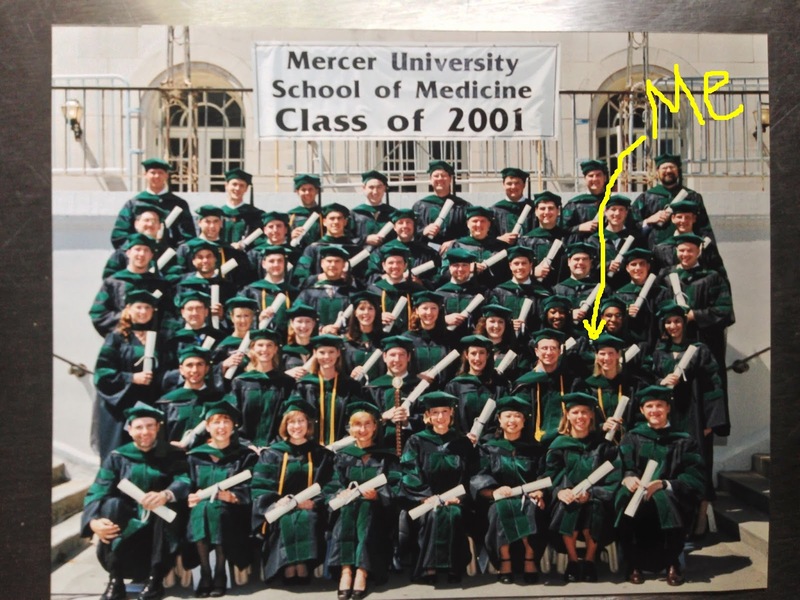 Even as an intern, I passed the mock board exam that we all had to take each year, and was one of ten from a residency of about 75 to earn $200 in book money. That meant there were chief residents who didn't pass. I was so disillusioned, though, and I don't think my misgivings were strictly a by-product of sleep deprivation. I was actually thinking about dropping out of medicine altogether, maybe getting a research position of some sort, but seeing as how I'd never done any research, that was a long shot. I felt stuck. It was while I was on my super-sucky Grady Hospital emergency room rotation in January of 2002 that I ran into Faye. Seeing her so relaxed and happy was kismet. Thank goodness my program director, Dr. Dodson, was so supportive of me. Not only did he go out of his way to secure me a spot in Emory's anesthesiology program for the following year, he never criticized me for my decision to leave surgery. When our mock board score letters were released, he'd inscribed an addendum: "You will do well in anesthesiology, and they will be lucky to have you." For me, the study of anesthesiology was much more difficult than that of surgery. Being an anesthesiologist means you have to have a solid grasp on internal medicine, cardiology, pediatrics, obstetrics, pharmacology, as well as the intricacies of airway anatomy and the complexities of cardiac, respiratory, neurologic, endocrine, renal, and maternal physiology. As if that's not challenging enough, you have to be able to integrate all of that knowledge to formulate a safe anesthetic plan for your patient in ten minutes or less. My three years of anesthesia residency weren't exactly a piece a cake. Eight months into my first clinical year, my father died suddenly. That catapulted me into a serious depression, and I ended up having to take an antidepressant just to be able to function. I went back to work only a week after he died, and spent every private moment I had, crying in the call room and trying to remember the sound of his voice. To make matters worse, not all of my attendings were aware of the situation, and some of them gave me a really hard time about being spaced out. I did everything I could to keep it together, but by that point, my marriage was falling apart. Being at home wasn't a refuge; it was a battleground. In 2004, during my final year of training, one of my residency buddies fell to his death in a freak hiking accident. Ahmet's death was a stark reminder of how tenuous life really is, a realization that was difficult to reconcile against the demands of being a fledgling physician. One month before I graduated residency, my husband informed me he'd filed for divorce and custody of our twins. Whereas my peers were celebrating the end of residency and the beginning of their new professional lives, I was grieving the end of my marriage and fearing the loss of my children. Not a great way to start off the rest of your life. Fortunately, my ex and I were able to settle things amicably, sharing custody of the boys and handling our divorce cooperatively, out of court. To this day, we remain on friendly terms. The last eight years of my life as an anesthesiologist have been a push-pull affair. As hard as I've tried to push away from my identity as a physician, I keep getting pulled back into it, whether I like it or not. There is just no escaping that part of who I am. For some time now, I've rejected Dr. Me, as if it were some sort of embarrassment, an albatross that I've tried my best to ignore. But, I'm realizing that it's really our collective workaholic "I'm a physician, therefore I exist" identity I abhor, not mine individually. I am a physician, but it's not who I am. It doesn't define me. I've never been one to float the mainstream. Why would my brand of doctoring be any different? Four years of medical school, four years of residency, and eight years of being an attending anesthesiologist have reinforced my suspicions that there's wisdom in being lazy, that committing to my own personal happiness and freedom, as opposed to revolving my entire life around medicine, is what's prevented me from becoming a burned out and cynical physician. Working part-time is pretty amazing. It's like having the best of both worlds. I enjoy practicing anesthesia again, instead of dreading what each day has in store. Long gone are the days of eating, sleeping, and breathing medicine; now, I'm channeling Hippocrates. It comes naturally. Intuitively. And, I do love it. Doctor, there's everything else, and then there's medicine. What a journey! I see so much similarity between us. Like you, artist doesn't define me either. Once I was surrounded by photos of people's faces and pastels (like you were breathing medicine), I cursed my fate. But now I am "human without god", strangely, I found that I could enjoy painting again. Yes, part-time job is perfect for us! Having said these, still what you have been through was quite amazing. I congratulate your career success and I am proud of you, kris! Enjoy your freedom! Kris, that was evocative soul-searching. I feel soaked by those reminiscences. I am glad to know, although I'm not surprised in the least bit, to learn you have been one of the very best -Channeling Hippocrates is proof enough. And although I cannot even begin thinking comparing my vocation with yours, doctors are next to gods assuming they are there, it takes some grit and determination to tear off the inevitable cocoon one's profession generates. I salute your courage and conviction through all those twisters and dust storms. Wow, 100-120 hours a week would be unbearable for me, I hate to do more than about forty, but prefer a life of no work hours a week at all. Thank goodness you have time off now to just be yourself. Enjoy your time off. Blimey! That's one hell of a tale, atrociousI salute your perseverance. When I was a kid our next door neighbour was an anesthesiologist, and she was similarly dedicated and professional. I realised, listening to her, that it was not just a case of knocking someone out until they stopped slicing them up. A fascinating subject. I used to have to put up with Elaine watching the excreable, atrocious "Grey's Anatomy". Now, if they made your story into a medical drama, THAT would be a show worth watching. 80 hours a week is still a brutal work schedule for anybody. There's slave-factory owners in Africa who wouldn't push their workforce that hard. You have to wonder how many promising doctors were destroyed by residency. Frankly, I'm impressed that,with all the other stuff going on, you managed to hang in there. Backing away from that lifestyle to give yourself time and space for a life sounds like a very wise decision and you seem happy with the balance you have. ATB. I remember those days and applaud your tenancity to complete the residency program. It was stressful fighting for the right to be the great mother you are while mourning the death of your father. You honor his memory proudly with the Polish flay tattoo on your arm. While going through these trails your patients never suffered from neglect through lack of concentration or skill. But you were not alone. God and many caring friends were with you on that journey. I am glad to be one. Today you can wear the tittle Anesthesiologist proudly, well earned. You get an A+ for pararenting the twins are fine men. We all know you are an accomplished writer, chef, and painter. I think you are wise in taking time to smell the roses with your new husband. I wish you continued happiness and success in all your endeavors. Keep this sight going I love the contend and style of your writing. It's fascinating, Kris, how it's the simple things which bring peace and joy in the end. Personally, I've never understood ambition, why people have to try so hard. One gets so misdirected by the world's opinion of what constitutes value and success. In spite of your incredible talents and intelligence, something in your guts told you that you needed to simplify your life. And you had the courage to follow your guts and your reward is the happy and beautiful life you have now. Your career path has definitely been a journey full of many crazy things. Seems it is always hard to figure out what one wants to be when he/she grows up as he/she evolves as a person thru life lived. What a crazy way to spend so many years! As an outsider it would appear the you have found a good balance. I like balance. Wow Helena, those were the years. 120 hr working week? Down to 80? I couldn't do it even if they paid me £1000 per hour. In this country 40+ hrs is not only hard work but everyone will be complaining like mad if they had to do more! As for all that training, another WOW. I know doctors have to have so much knowledge in so many different areas so I'm glad that after all of that, you actually made it (not everyone gets through). You must be really chuffed now to look back at all you went through. And here you are right now, working part time, doing the job you want to do, with a wonderful husband and beautiful kids. You're very fortunate to have it all. I think it's incredible and wonderful that you had the strength of heart and presence of mind to do what was right for you. What I mean is, I'm sure with the huge amount of blood,sweet, tears and slave hours, there is pressure to "stay the course." We all know people in every field who became cynical because they couldn't walk away from an unhealthy situation. You had the courage to follow your own path and you deserve every good thing that comes with that! PS--Who on earth thinks it's a good idea for ANYONE to work those kinds of hours, ESPECIALLY when it can literally be a life or death situation? What a truly remarkable journey, Kris! You can be very proud of all your accomplishments. 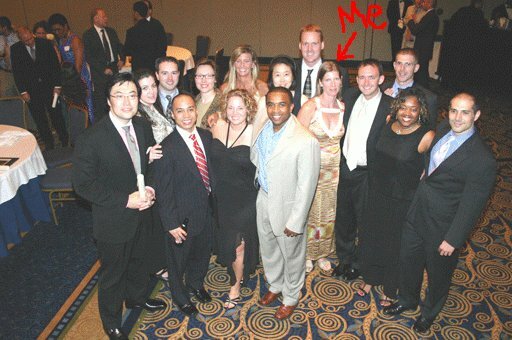 First person ever from Mercer Univ to be accepted into Emory’s general surgery program, that really was a big deal! Pretty cool about the first edition the Mercer Dept of Surgery chairman gave you as a congratulations. Re: residency: working 100-120 hour weeks, yikes! That really is organized slave labor! Wise choice to switch to anesthesiology. That’s an excellent letter commending you for scoring so high on your exam, and the handwritten note that anesthesiology will be lucky to have you. High praise and well deserved! Very sad that your father died during your first clinical year. As close as you were to him and with everything else going on at work and home, I can easily understand becoming seriously depressed. I’ve had those times in my life as well. I remember reading about your friend Ahmet and his tragic, accidental death in previous posts. He had such a wonderful face, and you could tell he was a warm and caring individual. Love all the photos, Kris, and what a beautiful smile you have all the time! I sincerely admire how you pulled it all together along with raising two sons. You are an awesome lady, resilient, dedicated, brilliant and funny! You are channeling Hippocrates the way it ought to be channeled. “Doctor, there’s everything else, and then there’s medicine.” Yes, indeed. Fantastic post! Words can't express how much I admire you even more. Mom was only an LPN, but she always spoke highly of anesthesiologists. You sacrificed so much, but not your soul. Bravo.